For the thousands of DJ's (if not a hundred thousand)who are using Pioneer Decks; Pioneer has announced that it will be releasing a new program for download called "Redbox" which actively manages and categorizes an entire music library using many different types of parameters that DJ's use to find their music as quickly as possible...And get this...ITS 100% FREE! 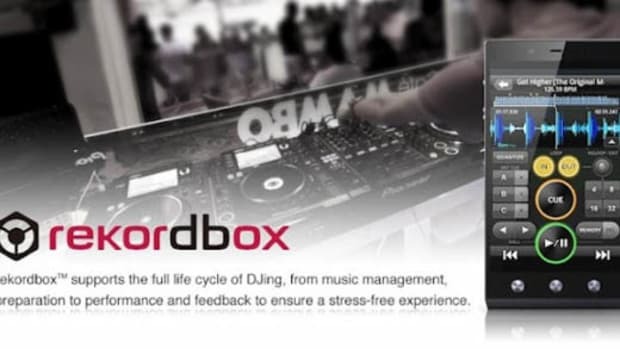 rekordbox™ is the best way of preparing and managing your tracks, be it at home, in the studio, or even on the plane! It allows you to import music from other music management software using the Bridge function or by simply adding them into the software for management. rekordbox™ will work out the BPM and allow you to set hot cue and loop points into the track, utilizing a full beat grid view in advance, as well as color coding your music and adding all the ID3 information so it appears automatically later on any CDJ-2000 or 900. Working with rekordbox™ also means that when tracks are exported to a USB key or SD card, the CDJ-900 or CDJ-2000 will load the waveforms instantly. The database layout within the software can be customized to suit individual DJ style which enables personalized layouts when browsing on your CDJ-900 / CDJ-2000s. The software&apos;s unique reverse functionality enables the new CDJs to record your cue, loop & set history during your set which can be recalled in rekordbox™ later. If you enable the Quantize feature within the CDJ-2000 / CDJ-900, then rekordbox™ makes loop and cue points snap to the beat (1ms accurate), ensuring beat-perfect loops and cues. More than being the central music preparation software for the CDJ-900 / CDJ-2000, rekordbox™ will also be fully compatible with future Pioneer DJ products across the range. As clubs begin to upgrade to the CDJ-900 and CDJ-2000 from the CDJ-1000MK3, the ability to travel and arrive at the club with your music prepared on a single USB or SD card (such as a USB flash memory key) is now a reality. Pioneer announced today that rekordbox™, the digital music management software developed in partnership with MixVibes, is now available for free to all DJ’s seeking to enhance their club performance. “The rekordbox™ software is a powerful tool that will enable DJs to organize their music library which will ultimately enhance their performances. Our goal is to make rekordbox™ the standard music management software in the DJ community as iTunes is to music fans,” said David Arevalo, senior marketing manager of DJ division for Pioneer Electronics (USA) Inc. 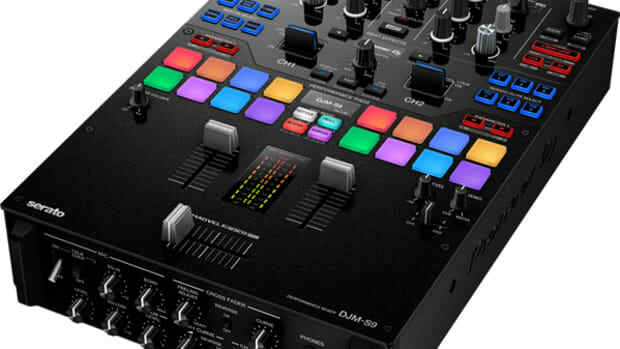 This comes as welcome news to club DJ’s who might not currently own the players, but can maximize the software to prepare their mix ahead of their gig, and be ready to play on the CDJ-900s or CDJ-2000s at the event. o Beats Per Minute (BPM) Data – BPM / Tempo information for each song is identified and processed into rekordbox™ for use by the DJ in preparing and performing a set. o Waveform Data – The waveform of each song is identified and then displayed on the bottom screen for quick data visualization and for use with the needle search function on the CDJ-2000 turntable. o Tag Info & Artwork – Edit and customize the file information to performance needs. o Hot Cues, Cue Points, and Loops – Prepare and customize cues and loops as well as create and manage hot cue banks. o Playlists – Create, edit and manage customized playlists for various performances. o Beatgrid – Utilizing the new Quantizing feature, cue points and loops can be set perfectly on-beat. The Quantize feature ensures cue points are set accurately and automatically, correcting and synching beats during manual looping or a real-time cueing, preventing off beat mistakes. rekordbox™ will also be included with the June 2010 availability of the new professional CDJ-350 model aimed at aspiring DJ’s. Pioneer DJ's Rekordbox music management software has just received a new update that adds even more functionality than ever before. The new Rekordbox 3.0 software allows users to Tag their music and identify tracks that mix well with other tracks for future use. There's also a new preview function that allows DJ's to listen to a mix beforehand and an all new playlist view that allows users to edit and display up to five playlists at a time. A few weeks ago, Pioneer DJ announced the availability of its new rekordbox DJ music management app for iPhone and iPod touch. The rekordbox App enables users to prepare and manage music stored on their portable devices as well as create playlists, cue/loop point and beat location settings, perform waveform analysis, and more. The recently announced XDJ-AERO system works with the new app and enables the iPhone or iPod touch to become a main source for music content. Check out our exclusive video from the DJ Expo to see it in action after the jump. Last month we reviewed the new Pioneer DDJ-RR Digital DJ Controller that uses the new Rekordbox DJ software. We explained lots of the features in detail and highly recommend the controller to anyone who wants something solid in the Rekordbox DJ realm. Pioneer DJ has now released a tutorial series of videos showing some in-depth features of the Rekordbox DJ software. Earlier this morning Pioneer DJ has finally announced it's Rekordbox DJ turntable and CDJ two channel USB soundcard called the Pioneer DJ Interface 2. This new device is a Digital Vinyl Interface that allows DJ's with any mixer to use Rekordbox DJ DVS with vinyl or CD timecode. 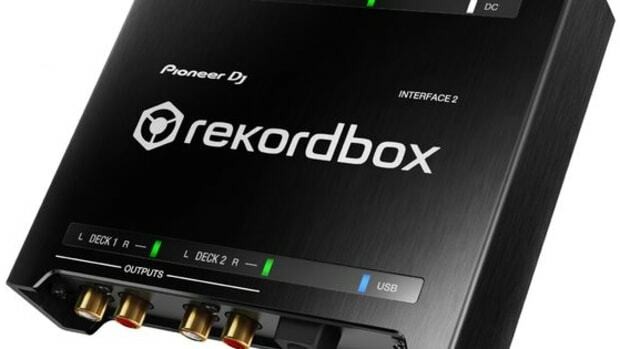 Pioneer DJ Releases Rekordbox 5.0 Beta with S9 Support! 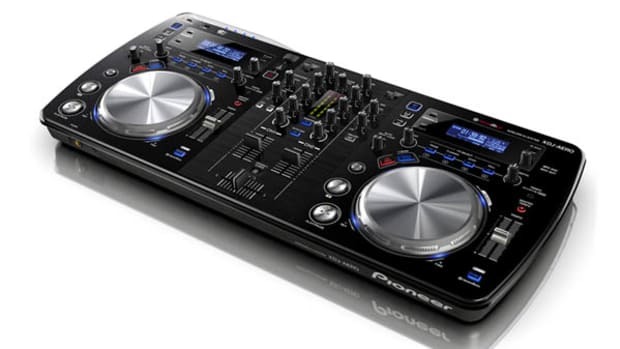 I've only used the Pioneer DJ Rekordbox software a few times while reviewing other controllers for Pioneer. I've noticed that lots of the functions and feel of the software reminded me of Serato DJ. 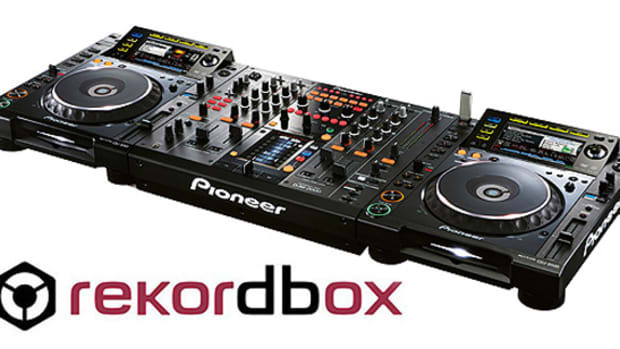 With the release of Rekordbox 5.0, it seems that both software will have another common function with the Pioneer DJM-S9 being fully supported by both platforms. 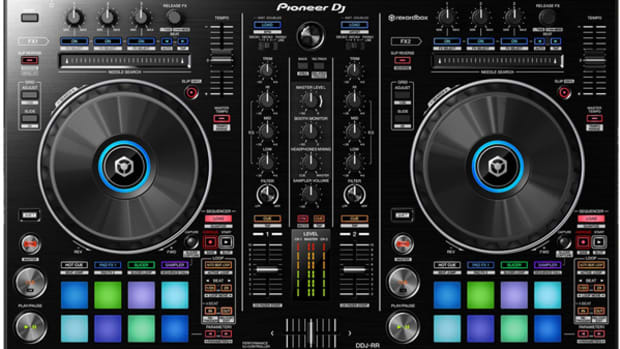 The two-channel soundcard allows DJ's to use any mixer to play Rekordbox DVS on their computer. Fresh off the heels of yesterday's new announcement made by Pioneer DJ Division regarding the release of the new DDJ-ERGO-K (Limited Edition); Pioneer has kicked it up another notch by announcing the new Pioneer XDJ-AERO Wireless Digital DJ Controller which can playback and DJ music from any Wi-Fi device such as smartphones, iPads, laptops, or any other device that is capable of using Pioneer's music managing software Rekordbox. The XDJ-AERO can also function as a standalone mixer, as a HID controller for Virtual DJ, and as a MIDI controller for Traktor or Serato. Check out the video, press release and our words inside.